The great majority of 6.62 million Indiana residence aren’t aware that there is an elite group of 12,000 students who are incredible leaders, community builders, and agriculture supporters. These 12,000 students all have a different story to tell, diverse passions to love, and unique purposes they serve. I’ve been lucky enough to not only meet thousands of these people, but be impacted by them. They’ve taught me more lessons than they could even phantom. 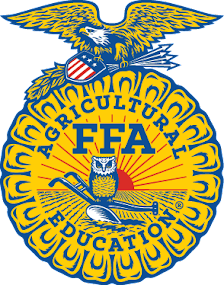 If you’re one of those 12,000 Indiana FFA members reading this blog – this one is for you. Most people who know me, know that one of my passions is communications, more specifically, social media. Knowing this fact, it makes sense that one of my goals is to become Twitter famous. To those who aren’t familiar with Twitter, to be Twitter famous means to be well known on Twitter, essentially receiving thousands of likes and retweets on your posts. There was one time this year that I became kinds sorta close to being Twitter famous. As I was leaving Columbus FFA’s banquet, I felt as though a Tweet about how incredible FFA members are was necessary after the impact they left on me. After spending 10 minutes on this one post, I finally created the perfect Tweet that relayed the message I wanted to share in the 140 characters that are allowed. 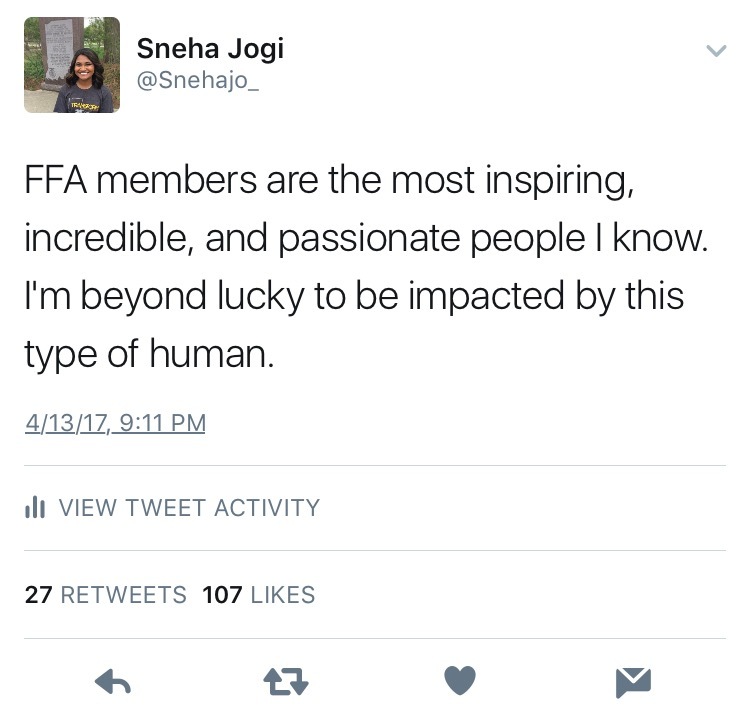 My tweet read, “FFA members are the most inspiring, incredible, and passionate people I know. I’m beyond lucky to be impacted by this type of human.” I believe in every word this Tweet says, but I was surprised at how many other people also believed in the thoughts I had to share. 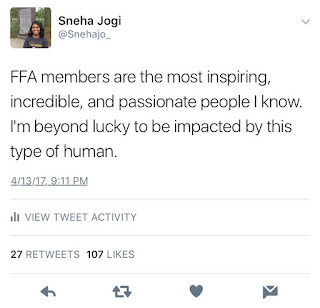 Other FFA members, people who live across America, and adults engaged in this tweet by liking it and retweeting it. I was completely shocked at the reach this post contained until I realized that it only makes sense for people to show this post some love. 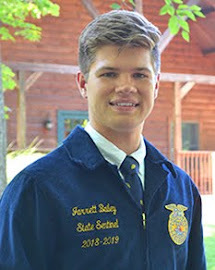 Who wouldn’t agree with a post that highlights the beauty of FFA members?! The post that kinda sorta became Twitter famous. 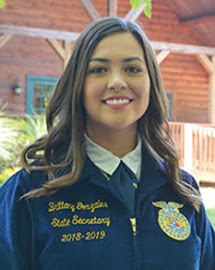 My decision to run for State Office was inspired by all the FFA members I previously met. I knew that I wanted to make a positive difference in their lives and help them become better versions of themselves. What I didn’t expect at all was the difference these members would make on my life. 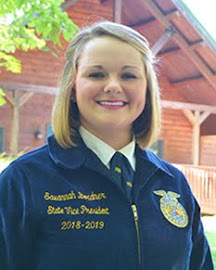 FFA members typically don’t think they impact a State Officer. They normally think we impact them (or so we hope). However, the beauty of this situation is that no matter what type of FFA member you are, you are making a difference. 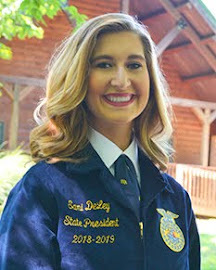 A quote I’ve recently come across that reminds me of members is, “everything you do has some effect, some impact.” Indiana FFA members have transformed the lives of the 7 State Officers as they showed us their genuine selves, shared their greatest dreams with us, and reminded us why we serve. 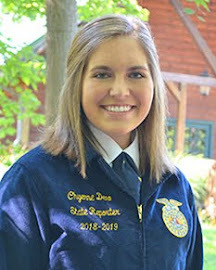 Danville FFA: A chapter that has transformed me for the better! North Posey FFA: One chapter of MANY that has impacted me! With all that being said, thank you to every Indiana FFA member. Thank you for transforming my life for the better. 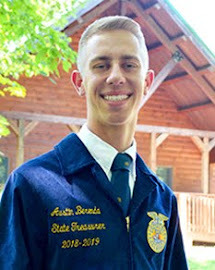 In 22 days, my year of service will be over, but one thing that will never end is the love and passion I have for FFA members and our wonderful organization. 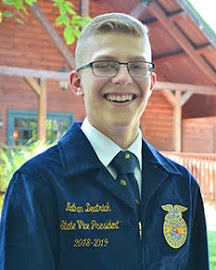 Here’s to the FFA member who is a Greenhand and is scared yet excited for everything FFA has to offer. Here’s to the FFA member who’s graduating, becoming a proud FFA alum and leaving our organization better than when they began. Here’s to the FFA member who is still debating on joining FFA, but is giving it a chance anyways. Here’s to all FFA members. Thank you for your dedication, impact, and love.